Test your microphone if you are experiencing audio problems with phone calls, FaceTime®, Siri®, etc. If your voice sounds faint while using the Speakerphone, ensure your device's receiver isn't covered. 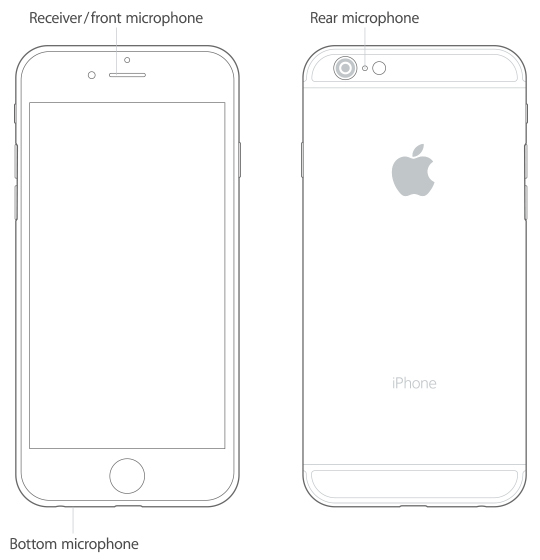 If audio from video recordings sounds faint or if Siri can't hear you, make sure the receiver and front microphone on top of your device aren't covered or dirty. From a Home screen, navigate: Utilities > Voice Memos. Tap play to listen to the recording. You can also attempt a FaceTime call or use Siri to test the audio. Playback the video to listen to the recorded audio. For addtional support, check out Apple's support article.